While many spiritual techniques for reaching peace require nothing in particular except an open mind, some meditation and centering methods call for focusing on a piece of artwork. You can meditate with practically any design you find inspiring and easy to focus on. However, there are certain designs with a long history of this kind of use. 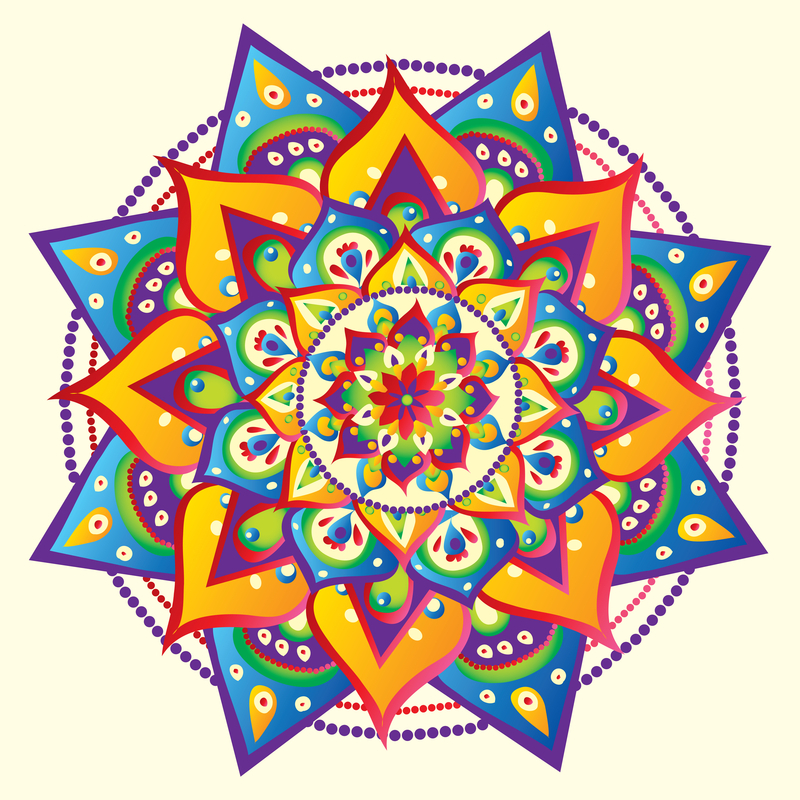 A mandala is a design dating back to ancient India that is used as a meditation, teaching, or healing tool. 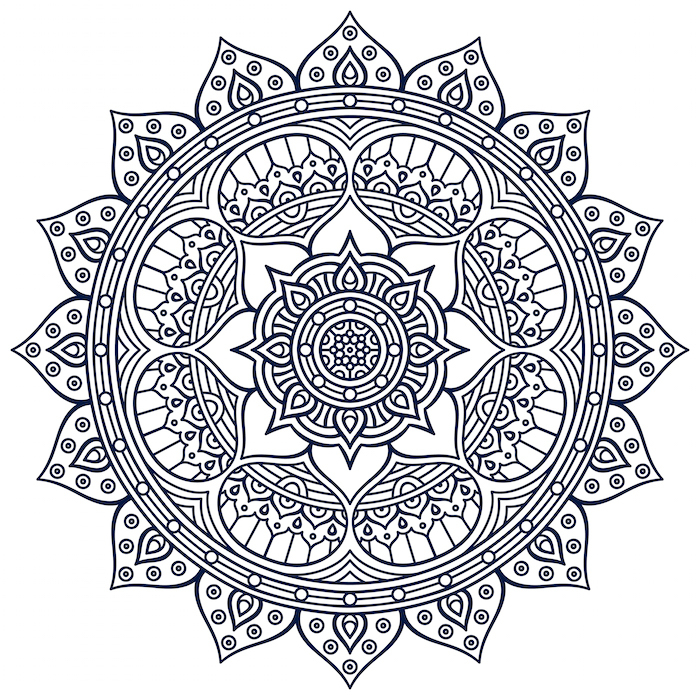 Each Hindu or Tibetan mandala is different, but many of the Indian versions feature the classic lotus blossom as an integral part of the artwork. Discover the deeper meaning behind this rich form of symbolism before buying a piece of art or getting a tattoo featuring a lotus mandala. Botanists and florists may consider the lotus just another beautiful flower, but it has deep layers of symbolism in Asian cultures. Since the flower is native to most of the countries in Asia, it’s no wonder that both ancient and modern residents appreciate its beauty on a deeper level. To Buddhists of all traditions, the lotus is a symbol of rising out of the material world and into spiritual union with the entire universe, also known as enlightenment. This is because the Gautama Buddha used the flower to explain how the soul is never soiled by the dirt of living like the lotus is untouched by the mud it rises from as it grows. In the Mahayana branch of Buddhism, followers believe the souls themselves emerge from blooming blossoms before entering newly born infants. In Hinduism, the meaning is similar but expressed a little differently. The lotus symbolizes the purity of the human soul and its ability to transcend physical limitations like birth and death. It’s most associated with deities representing creativity and wealth, such as Sarasvati, Lakshmi, and Brahma. Lotuses are also the symbols of the chakras, the energy centers thought to control both the physical health and spiritual condition of the individual. Why Are Lotuses Included In Many Mandalas? When you consider the various meanings of the lotus, it’s obvious why it shows up in so many mandalas. Its particularly common in meditation designs that adherents stare at for hours on end to work towards reaching enlightenment. While the most spiritual form of the lotus symbol features 1,000 petals, this is usually not physically shown due to the complexity of fitting in all those petals in an already complex geometric design. The artwork either features a limited number of petals with other meanings, like eight or nine to represent the sacredness of these numbers, or additional geometric symbols used to symbolize the true number. There are hundreds of lotus mandalas to choose from, so start with the five most popular and common designs before diving in too deep. Garbhadhatu Mandala – This symbolizes the Buddhist Womb Realm, where many deities from Japanese and Chinese sects of Buddhism reside. Dozens of deities surround the central lotus, making it difficult to recreate due to all the fine details. Sri Yantra – Yantras are esoteric works of art very similar to mandalas. This yantra features sixteen lotus petals surrounding a complicated set of interlocking triangles, and it symbolizes non-duality. Nava Padma Mandala – A very lotus-centric design with a large flower in the center used for Parameshwara initiation ceremonies. Ganesha Yantra – This Hindu symbol represents the deity known as Ganesha or Ganapati, who clears away obstacles for those who pray to him. He’s also pictured as being seated on a lotus to show his spiritual nature. The Trident Yantra – A symbol of the wrathful and warlike aspect of Shiva, this symbol pairs a peaceful lotus with a pointy trident to show the resolution of contradictions like war and peace.